"People are not reassured of the fairness of these trials." "We are concerned by these sentences. All Egyptians, regardless of political affiliation, are entitled to equal and fair treatment before the law, including the full respect for their rights to due process." "We will review the basis of the verdict which I understand the Egyptian court will make public soon. I don't think we'll have much more announcements to do before a review of the basis of that verdict." Mohammed Morsi, who for a year had acted as Egypt's President when the Muslim Brotherhood had taken the polls in an election that followed the downfall of Egypt's long-time autocratic President Hosni Mubarak, has now been convicted of the use of force against protesters. He was sentenced on April 21 to twenty years in prison. He has already spent two years in prison, since his removal by the military from the post of president, and the subsequent outlawing of the Muslim Brotherhood, as a terrorist organization. Others of the Muslim Brotherhood have received sentences for their part in Egypt's transition from military dictatorship to 'democratic' tyranny. In the wake of Egypt's populist uprising in its 2011 Arab Spring, the Brotherhood came out the winner in parliamentary elections, enabling Mohammed Morsi to sit as Egypt's first freely elected president in 2012. Egypt did not thrill to Islamist rule, and a year of Brotherhood ascendancy surrendered to army chief Abdel Fattah el-Sissi obeying the will of the people, removing the Brotherhood and Morsi from power. Now that most of the Brotherhood's elite leadership have been imprisoned with long sentences, along with the hundreds of death sentences set down for senior Brotherhood figures, amid charges and convictions of acts of violence laying lower level supporters low, Mohammed Badie, the top leader of the Brotherhood was given serial death sentences. And the tide has turned for former President Mubarak as he and his inner circle have been acquitted of charges brought against them. The Brotherhood, in its own defence, denies involvement in violence. But it is clear enough that it has influenced violent attacks against the government, the army and national police in the Sinai Peninsula, as well as in cities of central Egypt, including Cairo. Morsi faces additional trials on various charges, including undermining national security by conspiring with foreign groups. The U.S. administration of President Obama comes to mind; a supporter of the Brotherhood and of Morsi in particular. 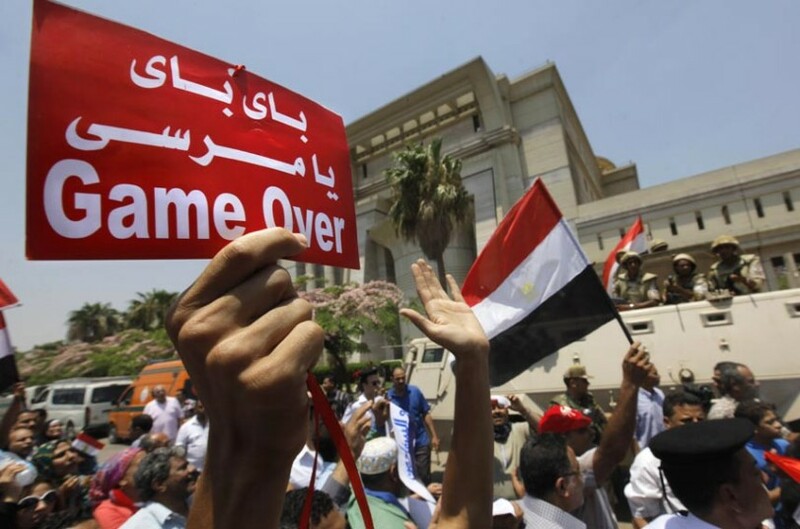 Brotherhood and Morsi supporters had attacked crowds of Egyptians outside the presidential palace in December of 2012, protesting a referendum on an Islamist-drafted constitution. Public animosity against Morsi increased in the wake of the fifteen hours of clashes which left ten people dead. Images of bearded Islamists swinging clubs, firing rifles, chanting "God is Great", sealed the fate of the Muslim Brotherhood in Egypt. And now, another Egyptian court has sentenced to life in prison 69 Islamists who set fire to a church in a town not far from Cairo. Two minors were jailed for ten-year sentences for their role in the blaze that took place in Kerdasa in August of 2013. This was a reflection of the protests sweeping the country when hundreds of Morsi supporters were killed in the capital. In response, churches and Christian property were looted and torched, as a reprisal move against Coptic Christians by Muslim Brotherhood members. Which Is It? Chirpy Tidings or Grim Reality? "[Iran was seeking] two issues at the negotiation table: first, to clear all accusations, and secondly, to remove all obstacles that the malevolent countries have created on our path toward having a constructive interaction with the world." The Iranian president spoke before an assemblage of twelve thousand workers in Tehran yesterday. Informing them that the sanctions regime imposed against the Islamic Republic of Iran was verging on collapse. Furthermore, in future no country would succeed in exerting pressure on Iran. Those sanctions, whom malevolent forces created should search for another way in which they could benefit by bullying countries whose programs they would not assent to. Iran is committed to "continue the path of constructive interaction with the world under the guidance of the [Supreme] Leader and support of our people, and no country in the world can continue exerting pressure and imposing sanctions against Iran in the future." Iranian self-reliance and capacity to concentrate on its advancement of nuclear technology, in the process prioritizing "the resistance economy", would ensure the country's success in surmounting all outside interference. Iran, he stressed, is completely open to negotiations. Should the 'other side' match Tehran's serious political will to achieve a nuclear deal that would satisfy both sides, such a deal could be achievable in a matter of months. As for the 'resistance economy', in reference to Iran's struggle to remain financially viable under the sanctions regime, the 'resistance economy' is what ordinary Iranians have laboured under. The regime itself spares no finances in its ongoing support of its proxy terror functionaries. So much for the regime's critics who claim that past negotiations with Iran have always ended in clever evasion side-stepping the solution of critical issues. That Iran's insistence that it has no interest in nuclear weapons' attainment is false. What do they know? If Iran insists it is genuinely disinterested in nuclear weapons, its honour should be trusted. 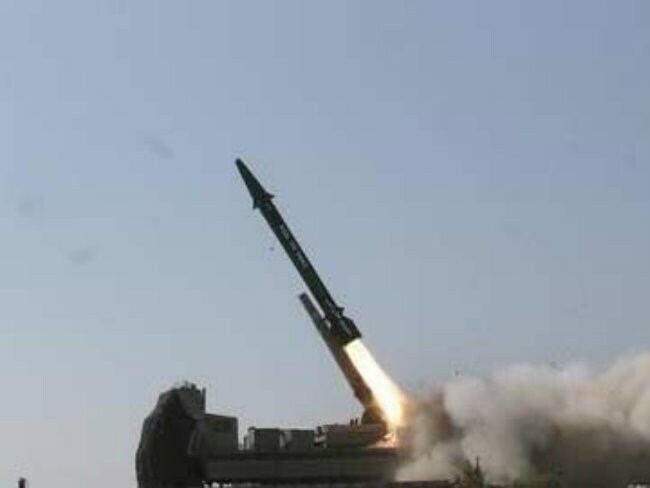 Its technological focus on perfecting long-range missiles to aid in the delivery of nuclear warheads notwithstanding. And that Iran's sponsorship of terror and ongoing threats against the West are proof enough that this is a country that is not prepared for reformation, nor is it to be trusted in any measure to carry through any of the insincere promises it agrees to in the interests of having sanctions removed -- immediately at its insistence, and not in incremental steps in lock-step with Iran's implementation of measures that any agreement is meant to put in place. Rapprochement with Iran, claim those critical of the preliminary agreement forging the way for a final deal set for the end of June, would only encourage Tehran to continue its game plan of agreeably smiling bafflegab in promises to heed the measures that the P5+1 have insisted be carried through as assurances that the nuclear program will not result in a dread scenario of Iran becoming a nuclear possessor of atomic weapons. All is sweetness and light, according to U.S. Secretary of State John Kerry. "We are, in fact, closer than ever to the good, comprehensive deal that we have been seeking, and if we can get there, the entire world will be safer", he stated reassuringly yesterday. While conceding that key issues do remain, alas, unresolved. Despite which, he chirps breezily, a finalized, implemented deal would "give the international community the confidence that it needs to know that Iran’s nuclear program is indeed exclusively peaceful". How could we have doubted that? This was the statement uttered cheerily by the irrepressibly optimistic Secretary of State after meeting Monday with Iranian Foreign Minister Mohammad Javad Zarif on the sidelines of the international convention. On the occasion of their first meeting since representatives for China, Russia, United States, France, Britain, Germany on the one hand, and Iran purportedly agreed to a framework agreement on April 2 to place limitations on Iran’s perceived ability to build a nuclear weapon. Besides being a political and moral victory for Hamas, this is a vote of no confidence in Abbas and Fatah. The outcome of the election on both campuses shows that many Palestinians do not believe in Abbas's political program, particularly the peace process with Israel. Moreover, the results show that many Palestinians still do not consider Fatah a better alternative to Hamas. In 2006, Fatah lost the Palestinian Legislative Council elections to Hamas largely because of its failure to reform and combat financial and administrative corruption. Since then, Fatah has done almost nothing to draw the conclusions from that defeat. The same leaders who led Fatah to the 2006 defeat continue to hold key positions in Fatah, ignoring demands for reforms and transparency. The landslide victory of Hamas at Bir Zeit University came in spite of an ongoing security clampdown by Abbas and Fatah on supporters of the Islamist movement in the West Bank. In recent months, the crackdown reached university and college campuses, where dozens of students affiliated with Hamas have either been detained or summoned for interrogation by Palestinian Authority security forces. The results of the Bir Zeit University election show that the crackdown has failed to weaken or deter Hamas supporters in the West Bank. It is evident, in fact, that Abbas's campaign against Hamas has had a boomerang effect, resulting in increased support for the Islamist movement among Palestinians, especially those living in the West Bank. When you tell your people that the Jews are awful, and do not want peace, and just want to kill Arabs and destroy their homes and holy sites, then people say, "This means Hamas is right. We should be killing the Jews and not making peace with them." Hamas sees its electoral triumph as a "victory for the project of resistance" against Israel. "This is a referendum that shows the strength of Hamas (in the West Bank)," said Hamas spokesman Sami Abu Zuhri. "It's also a victory for our project of resistance." Another Hamas official, Hussam Badran, said that the results of the university student council election "prove that the Palestinian people in general, and the youth in particular, have endorsed our program of resistance." He said the results also showed that Hamas continues to enjoy widespread support among Palestinians. What the Hamas officials are saying is that many Palestinians continue to prefer the option of an armed struggle to peaceful negotiations with Israel. Shortly after the Bir Zeit University results were announced, Hamas supporters took to the streets in various parts of the West Bank and Gaza Strip to celebrate their victory. On April 24, Hamas supporters are also planning a "victory rally" at Bir Zeit University to celebrate the results of the election. The Hamas victory at Bir Zeit University shows why it is not a good idea, at this stage, to hold parliamentary or presidential elections in the Palestinian territories. Abbas himself has long been aware that a free and democratic election would result in another Hamas victory. That is why he has been in no rush to call on Palestinians to head to the ballot boxes. But Abbas is not the only one who should be worried about the Hamas electoral victory. This is also bad news for efforts to revive the stalled peace talks between Israel and the Palestinians. In wake of the Hamas victory, it is hard to see how Abbas or any other Palestinian leader would sign any peace agreement with Israel. The Hamas victory did not come as surprise to those who have been closely following the anti-Israel messages coming from the Palestinian Authority. The PA's incitement against Israel is one of the main reasons Palestinians have been turning to Hamas. Hamas has apparently now realigned with Iran, which is "rebuilding relations with the military wing of Hamas." Iran also, it seems, has sent Hamas millions of dollars over the past few months. Hamas shares "the same long-term objectives as the ayatollahs: the complete destruction of the state of Israel," and to that end, wants to undermine and destroy anyone who recognizes Israel. To avoid this, the Palestinian Authority must first stop its ongoing campaign to delegitimize and isolate Israel. This campaign is being waged through the media, mosques and public rhetoric. The Palestinian Authority must also maintain security coordination with Israel. The coordination is vital to the PA itself, not just Israel. Without Israel's help, the PA will not be able to prevent Hamas from taking over the West Bank. Finally, to stop the Palestinians from rallying around Hamas, the Palestinian Authority in general — and Fatah in particular — need to embark on comprehensive reforms. Above all, they need to stop blocking the emergence of new leadership, and get rid of all the icons of corruption and bad government. Unless the PA does these three things, Hamas's popularity among Palestinians will continue to rise, bringing the Islamist movement closer to taking over the West Bank. The Palestinian Authority is shooting itself in the foot. "So when you hear the inevitable critics of the deal sound off, ask them a simple question: Do you really think that this verifiable deal, if fully implemented, backed by the world’s major powers, is a worse option than the risk of another war in the Middle East? Is it worse than doing what we’ve done for almost two decades, with Iran moving forward with its nuclear program and without robust inspections? I think the answer will be clear." "Remember, I have always insisted that I will do what is necessary to prevent Iran from acquiring a nuclear weapon, and I will. But I also know that a diplomatic solution is the best way to get this done, and offers a more comprehensive -- and lasting -- solution. It is our best option, by far. And while it is always a possibility that Iran may try to cheat on the deal in the future, this framework of inspections and transparency makes it far more likely that we’ll know about it if they try to cheat -- and I, or future Presidents, will have preserved all of the options that are currently available to deal with it." "In return for Iran’s actions, the international community has agreed to provide Iran with relief from certain sanctions -- our own sanctions, and international sanctions imposed by the United Nations Security Council. This relief will be phased as Iran takes steps to adhere to the deal. 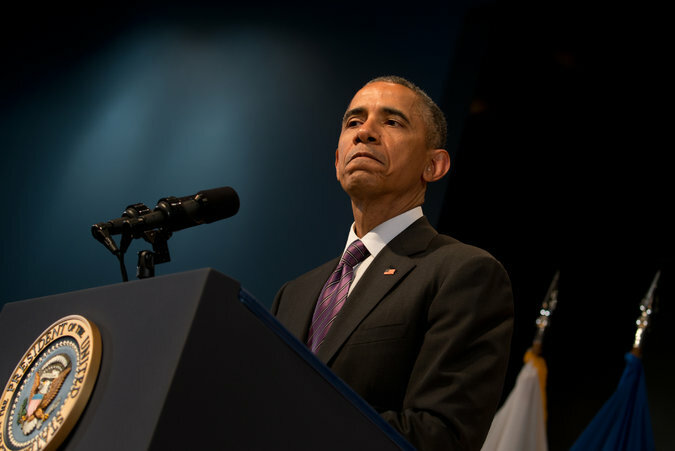 If Iran violates the deal, sanctions can be snapped back into place. Meanwhile, other American sanctions on Iran for its support of terrorism, its human rights abuses, its ballistic missile program, will continue to be fully enforced." "Now, let me reemphasize, our work is not yet done. The deal has not been signed. Between now and the end of June, the negotiators will continue to work through the details of how this framework will be fully implemented, and those details matter. If there is backsliding on the part of the Iranians, if the verification and inspection mechanisms don’t meet the specifications of our nuclear and security experts, there will be no deal. But if we can get this done, and Iran follows through on the framework that our negotiators agreed to, we will be able to resolve one of the greatest threats to our security, and to do so peacefully." We have the assurances of the President of the United States of America that the world is a safer place now that a framework agreement has been reached through the prodigious efforts of the American Secretary of State and the come-along members of the UN Security Council, plus Germany, with the negotiators representing the nuclear file as presented by the ambitions of the Islamic Republic of Iran. Iran, that is, which entered the nuclear negotiations as a heavily sanctioned, isolated internationally, financially bleeding country, hobbling on its weakened legs, to face the demands of a collective representation of the international community that it surrender its nuclear ambitions. Which is to say the nuclear ambitions that would lead inevitably to a nuclear arsenal. For a country which has distinguished itself as a threat to world order. From that position as an aggressive supplicant for the release from sanctions so harmful to its capacity to adequately fund the activities of its proxy Islamist terrorist militias in Lebanon and Gaza, hobbling its ability to sign contracts for the latest technologically advanced weaponry, while perfecting its own long-range missiles' geographic reach, Iran smiled its gracious way into the good graces of its interlocutors. This anti-Western, Islamist theocracy which remains upfront and belligerent over its promise to destroy Israel -- which promotes the pleasing sound of "Death to America!" and "Death to Israel", at its nationalist rallies, which openly promulgates the vision of Aryan/Persian Iran as the rightful power in the Middle East, disrupting and tearing apart national interests of Arab nations -- found a strategic ally where even it might least have expected to. An American president who has embraced the unpalatable-to-his-predecessors' belief that an appeased Iran would be an impotent Iran, so grateful for achieving its goals that it would suddenly become transformed into a kitten from its current representation as a reprehensible nation-eating tiger. Iran, under President Obama's tender ministrations, may continue its territorial, economic, military and nuclear ambitions in exchange for moderating its behaviour. A quite incredible hypothesis, but one which President Obama appears to be personally dedicating himself to, as a legacy issue; taming the Persian Tiger. And to that end, one concession after another has been granted Iran, even in the face of its proxy armies, its Quds forces continuing to march through the Arab Middle East, and even while it vehemently rejects the U.S. version of the 'agreement' to which it insists it has never conceded agreement. The Obama administration is sleep-walking into legitimizing Iranian nuclear 'normalization', giving it the proverbial green light to advance its weapons agenda. And, concomitantly, aiding it immeasurably in its rush toward dominance in the Middle East. So Iran sends a flotilla of warships and weapons to its Houthi rebel proxies in Yemen, and Obama serenely orders its aircraft carrier group to look away despite the breach of the UN weapons embargo on Yemen. Saudi Arabia into the breach! Even while President Obama preaches to the Saudis that it should begin negotiations with Iran and with the Yemeni Shiites, to which the Saudi Arabian ambassador to the U.S. murmurs the reality that Iran represents "part of the problem, not part of the solution", as Saudi authorities commit to their own embargo enforced on maritime shipping of weapons to Yemen, even as it continues its air assault on the rebels. The hard lesson that Obama has been patiently teaching its erstwhile Middle East Arab and Israeli allies is that they must adapt to fending for themselves. And they are, they are. Encouraged to take that leap by the president's casual surrender on his long-standing condition that no immediate sanctions relief of any Iranian nuclear deal would be considered. Yet another red line trodden with the stated commitment to reimpose sanctions should Iran not deliver. And to encourage Tehran to drop the rhetoric and sign on the dotted line, the carrot of a $30- to $50-billion signing bonus, through releasing frozen Iranian assets. "[Our family is] devastated [by the news and] that my husband will never safely return home; [and we] do not yet fully understand all of the facts surrounding Warren’s death." 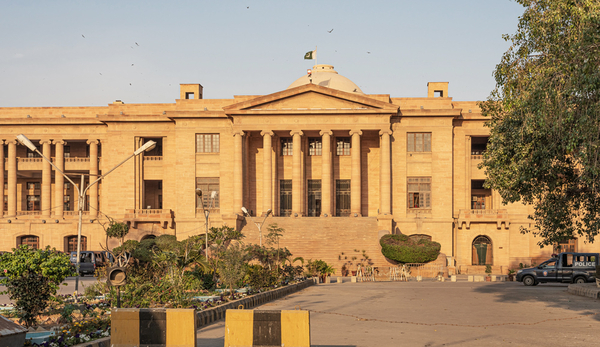 "We were so hopeful that those in the U.S. and Pakistani governments with the power to take action and secure his release would have done everything possible to do so and there are no words to do justice to the disappointment and heartbreak we are going through." "[...The assistance we received from other elements of the U.S. government [beyond members of Congress and the Federal Bureau of Investigation] was inconsistent and disappointing." "As president and as commander in chief, I take full responsibility for all our counterterrorism operations, including the one that inadvertently took the lives of Warren and Giovanni. I profoundly regret what happened. 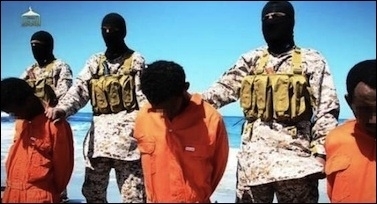 On behalf of the United States government, I offer our deepest apologies to the families." "But one of the things that sets America apart from many other nations, one of the things that makes us exceptional, is our willingness to confront squarely our imperfections and to learn from our mistakes." "[The operation was] fully consistent with the guidelines [I established for counterterrorism strikes against al-Qaeda; nonetheless I have ordered] a full review of what happened." "It is a cruel and bitter truth that in the fog of war generally and our fight against terrorists specifically, mistakes -- sometimes deadly mistakes -- can occur." Steven Crowley, New York Times -- "We don't take these drone strikes lightly"
Oops, another foul-up. It rests in the unfortunate category of the surgery being hugely successful -- unfortunately the patient died in the process. These.things.happen.in.such.assymetrical.conflict.situations. Stranger things have no doubt happened, but CIA drones, equipped with infrared sensors should have recognized the presence of two additional people at the targeted compound before it was hit. Yet, perhaps not; in their defence CIA officials claimed al-Qaeda has developed a strategy to adapt to the drone campaign, cleverly utilizing extensive measures to obscure facilities from the drone cameras. So there! Just one of those unfortunate instances of being in the wrong place at the right time. Well then, the right place at the wrong time? Whatever, the two men accidentally killed, an American and an Italian hostage held by al-Qaeda represented an unavoidable tragedy. On the other hand, two Americans who had joined jihad and were working for al-Qaeda were also, and quite deliberately, killed. Win some, lose some; perhaps an overdue motto for the CIA. No intelligence agency, however otherwise skilled and efficient, is beyond reproach in its approach to defeating the enemy. And so, Warren Weinstein and Giovanni Lo Porto both died in a January airstrike, the fact just recently confirmed after an extensive investigation. Time had elapsed, but the problem was there, refusing to just go away, and it had to be publicly aired, much to Mr. Obama's "grief". They weren't targeted, and there was no advance warning of any kind, no intelligence, no signs that they were in danger, that they were even present, before the order to strike was given. But all is well because the buck stops at the Oval Office, and this president took "full responsibility" for the operation. The Jewish academic and development contractor had been kidnapped in Lahore in 2011 just as he was winding up his four-year posting in Pakistan. It was a delightful coup for al-Qaeda to have this Jewish prisoner whom they ordered to plea directly to the American president for his release. All the more poignant since the United States, like Britain, does not surrender to such blackmail, and will not give cash for an American life. 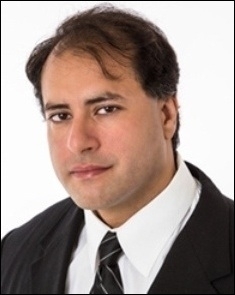 As for Giovanni Lo Porto who moved to Pakistan early in 2012, he had studied at London Metropolitan University which helped him not one iota when he was kidnapped as soon as he arrived in Pakistan along with a German colleague. Unlike the United States and Britain, other nations do arrange for ransoms for their nationals; Mr. Lo Porto happened to be extremely unlucky; his value to al-Qaeda not redeemed in an exchange to benefit each of the involved parties. The two other Americans were Ahmed Farouq, an al-Qaeda operative who died in the same strike that killed Messrs. Lo Porto and Weinstein. The second of the two jihadist Americans had met his death in an entirely separate operation. And a strange one he was; of Jewish heritage but Christian upbringing, he submitted to Islam at 17, at a mosque in Orange County, California before moving to Pakistan a year later, to join al-Qaeda. "Azzam the American", aka Adam Gadahn, became a spokesman for al-Qaeda, a featured star in their videos. Now that he is dead, the United States will no longer have to contemplate paying out the $1-million reward they have offered for information that might lead to his arrest. That $1-million might have saved the life of another American, but Warren Weinstein plied his trade in a very dangerous world, and it's just possible that his luck simply had run its course. "[The EU hereby commits to] increase search and rescue possibilities [and] undertake systematic efforts to identify, capture and destroy vessels before they are used by traffickers." "[The draft statement calls for] a first voluntary pilot project on resettlement, offering at least five thousand places to persons qualifying for protection." "First and foremost now, we have to save lives and take the right measures to do so." Saving lives under the agreement between the 28-member EU will principally be achieved by stopping the mass migration at its source. Well, not quite at its source, since the source is multiple in nature, ranging from Ethiopia to Eritrea, Syria to the Palestinian Territories and beyond. The 'source' in this new interpretation is meant to highlight lawless Libya's shoreline and the 450-kilometre Mediterranean crossing that brings hundreds of thousands of migrants to the shores of Italy, Greece and Malta. Europe has long prided itself on its openness to accepting refugees and immigrants from Africa and the Middle East. And now, it finds itself with a multitude of problems on its hands. Those problems stem from the generous embrace of Muslims into the prevailing communities so prepared to prove their liberal attitudes that they have allowed themselves to be flooded with members of a religious demographic threatening the indigenous heritage, culture and laws. And now teeming throngs of even greater numbers of those same ethnic and religious sects are threatening the stability of Europe, straitening its financial resources and upending the balance of welcome, tipping it into the firm realm of citizen-rejection of any additional interference in a continent's traditions, heritage, religious belief and rule of law. Humanitarian concern for other members of humanity living in misery has been put to the test, and compassion is wavering. Prime Minister David Cameron has pledged Britain to contribute its navy's flagship, HMS Bulwark as well as three helicopters and two border patrol ships. "As the country in Europe with the biggest defence budget, we can make a real contribution", said the prime minister of a country whose civil stability has been burdened with the unending problems revealed with an influx of aggressive religious intolerance from immigrants. Berlin is set to offer its troop supply ship Berlin and frigates Karlsruhe and Hessen toward Italy to be deflected from their mission at the Horn of Africa. Tiny Belgium has committed a navy ship. The issue is the more than ten thousand migrants salvaged from seas between Italy and Libya in one week alone. 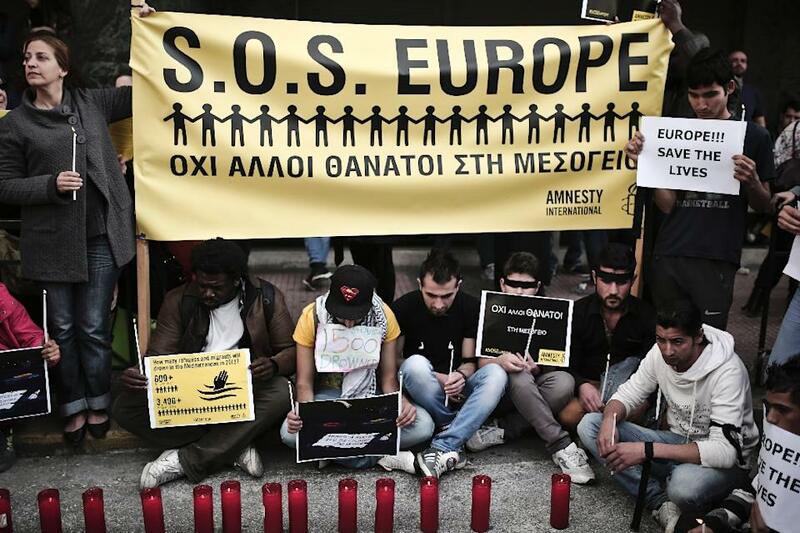 "Europe is declaring war on smugglers", the EU's top immigration official, Dimitris Avramopoulos declared. The resettlement plan focusing on a total of five thousand, would absorb less than half the number of migrants arriving in just one week; a tiny fraction of the tens of thousands anticipated to continue arriving. Germany, Sweden, France and Italy have absorbed a disproportionate number of asylum requests. Other Eastern member states are refusing to absorb any. 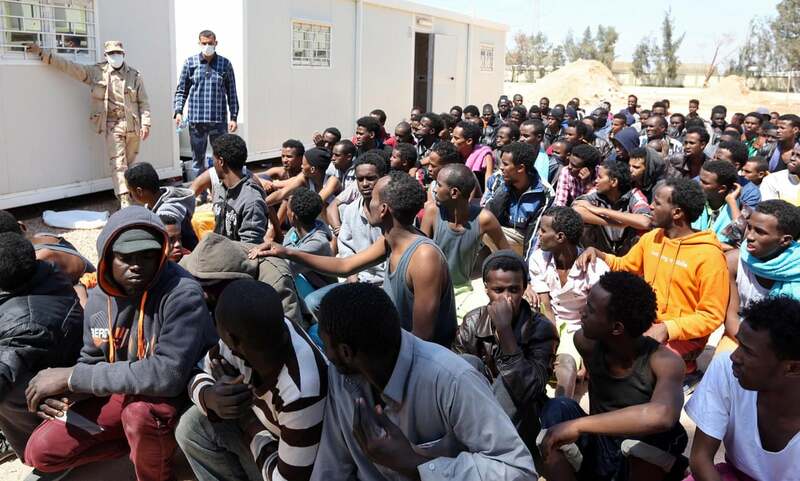 Leaving five of the 28 member states to handle 70 percent of the migrants. Now it is less salvation than interdiction that is being contemplated as a solution to the influx of migrants risking life and limb to a watery grave in the hopes of leaving their war-torn and economically friable lives behind for one of aspirational plenty and limitless opportunities. Except for the fact that the target countries are closing the gates, and who can blame them? 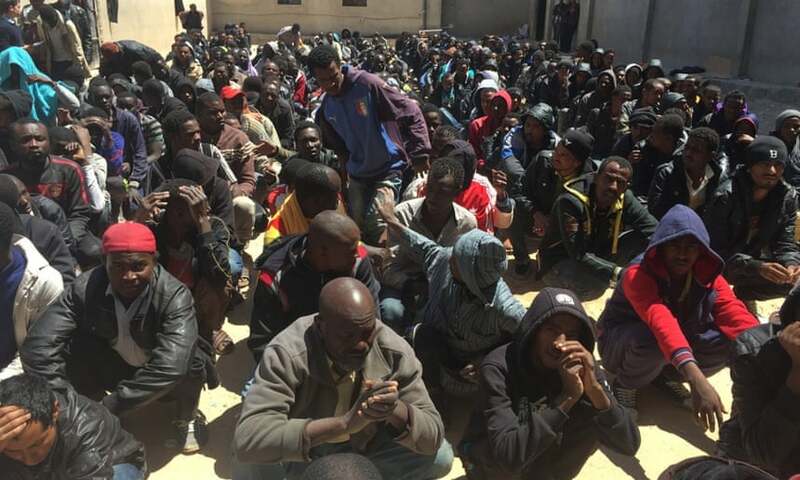 Helicopters will bomb the unseaworthy ships loading migrants into their holds on the Libyan coast, before the migrants are shepherded aboard, to ensure they never make the trip and return from whence they came. The dissolving civility and dangers they have left behind are the problems of the countries that have fallen into grave dysfunction. And it is their citizens who must make the effort to heal their own pathological ailments. Any who manage to make the gruelling overland journeys and from there board those vessels will be herded back by the European Union countries who plan to gently return them to their countries of origin, because Europe is bursting at its seams -- and despite the United Nation's refugee agency's dunning of the EU's insufficient efforts at rescue of the human flotsam and jetsam -- and will no longer tolerate its own peace and stability shattered. "We are seeing movement in the city of Aden where we see skirmishes and movement into Aden from three different directions; they will be entering Aden within hours." "We are determined to provide assistance to prevent this from happening." "We have made it clear we will not allow them (Houthis) to take Yemen by force." The United States, with its bombing forays targeting Islamist jihadists threatening the stability of the Middle East and by larger measure, the interests of the United States, has killed more than its fair share of innocent bystanders, but this is accepted as a cost of war, even the kind of asymmetrical war that now passes for conflict between states, in a removed world of distant-striking drones. But the United States is vastly troubled that its Middle East ally Saudi Arabia to whom it has offered support in logistical and intelligence aid backing the Saudi coalition's anti-Houthi action, has killed an estimated one thousand Yemeni civilians thus far as it pounds Houthi positions in and around the Gulf of Aden. The State Department is advising Saudi Arabia that it would appreciate hugely should it put a stop to the bombing. Persuading Saudi Arabia and the United Arab Emirates that the United States has their best interests at heart, even while it is pursuing an agreement with their direst threat in the Middle East on the nuclear file, is proving difficult. How to prove to the traditional Sunni Arab allies that the negotiation with Iran will not hamper American security commitments to the Sunni Arab monarchies? The proxy war between Saudi Arabia and the Islamic Republic of Iran is not going away. While Iran has been allowed to carry Syria and Lebanon and Iraq into its Shiite crescent of emerging power, Saudi Arabia and its allies have decided to dig in their heels over Yemen and Bahrain. Just as Vladimir Putin had persuaded Barack Obama that diplomacy is better than war over Syria, John Kerry is urging Saudi Arabia to agree to peace negotiations with Yemeni rebels. Saudi Arabia has the inarguable results of Syria's collapse into anarchic violence to guide his choice. And so, though the declaration was made on Tuesday that the Saudi bombing coalition had come to an end, it resumed on Wednesday. And part of the reason that it did was that the Houthi campaign hasn't come to an end, it has continued, and is gaining ground. Houthi forces took two military bases over the last 24 hours, the 35th Brigade base west of Raiz, and the Kufahl Army Base in Mareb Province, according to to Mohammed Albasha, Yemeni government spokesman in Washington. And that's where Saudi airstrikes are now being directed, along with Aden and Lahi. The Houthi rebels control the capital. Iran has sent arms shipments to its Yemeni Shiite allies who have until now spurned negotiations. And Saudi Arabia looks prepared to call in a ground invasion. Operation Decisive Storm has come to an end, and Operation Renewal of Hope has taken its place; signalling a political negotiation for a unity government in Yemen and the provision of humanitarian relief. That was then; lasting one full day. Since Houthi forces continue to launch attacks, negotiations are off. The U.S. is also concerned over its warships entering the Gulf of Aden led by the aircraft carrier Theodore Roosevelt, about to meet up with an approaching flotilla of Iranian cargo and military vessels. Ambassador Jubeir has stated that Saudi ships in the gulf plan to inspect the cargo of all vessels entering and exiting Yemen. And intelligence, aerial refuelling and logistical support by the U.S. to the Saudi-led air campaign is set to continue, even while the Obama administration continues its diplomacy urging an end to the fighting -- though it appears there will be no clear end in sight anytime soon. And the U.S. finds itself in the usual tight spot it gets crammed into whenever it enters Middle East politics; negotiating with Iran while helping the Saudis fend off Iranian expansionism. Never, ever a dull moment. Never an opportunity lost to lose an opportunity. Soghomon Tehlirian, a 24-year-old Armenian student in Berlin, was a melancholy man—his former landlady would testify at his murder trial that he would sit in his room in the dark playing sad songs on his mandolin. She had learned that his entire family had been killed in 1915, but thought it best not to ask too many questions about it. She would often hear him waking up in the middle of the night with nightmares and had recommended to him a doctor who specialized in nervous disorders. Lately, he had taken up dance lessons to help calm his nerves and started to practice his German by flirting with girls. Occasionally he suffered fainting spells. Tehlirian’s landlady was surprised when, in early March 1921, he suddenly announced he was leaving her flat to move into a new apartment on Hardenbergstrasse near Berlin’s zoo in the upscale Charlottenburg neighborhood. Tehlirian explained that he was moving because his doctor had recommended that he find an apartment with more natural sunlight. But in truth Tehlirian moved because he had learned that a man he had never met who went by the name of Ali Salih was living across the street from the apartment he had just rented, and Tehlirian had decided to murder him. Ali Salih was the assumed name of Talaat Pasha, the former interior minister and last grand vizier of the Ottoman Empire. One hundred years ago today, on April 24, 1915, Talaat oversaw the arrest of hundreds of leading Armenian community members, a step generally regarded as the first salvo in the Ottoman campaign to deport Armenians from the Anatolian Peninsula, thus beginning the Armenian genocide. On March 15, as Tehlirian was reading in his room, he glanced out his window and saw Talaat on the balcony of his apartment. He explained to the court that he recognized the man from having seen his picture in the newspapers. He kept watching and then, “I saw Talaat, the man who was responsible for the deaths of my parents, my brothers, and my sisters.” Tehlirian grabbed the loaded pistol he kept with his underclothes in a trunk, ran after Talaat, and fatally shot him. At the sound of gunfire, a crowd descended upon Tehlirian, beating him and holding him down. Witnesses reported that Tehlirian tried to break free, declaring, “I am an Armenian. He is a Turk. It is no loss to Germany.” Tehlirian would later tell the court that he remembered little about what happened after he fired the gun. But he did remember the sense of elation he felt upon hearing in the police station hours later that his shot had been fatal. Armenians around the world are commemorating the genocide of their people today: Jews, who have just commemorated Holocaust Remembrance Day last week, should be doing so as well. Armenians around the world are commemorating the genocide of their people today: Jews, who have just commemorated Holocaust Remembrance Day last week, should be doing so as well. Not only because of a shared humanity. Not only because Jews and Armenians are the two victims of genocide that gave this crime its name. But also because of the stark parallels between our experiences. Writing in the racialized language of the time, U.S. Ambassador to the Ottoman Empire Henry Morgenthau, who was also a prominent Jewish activist, noted of the Armenians: “There has been considerable intermarrying with Jews and that by this time there is a decided strain of Jewish blood in them. I asked about this because they all look like Jews and have the same characteristics, the same stubborn adherence to their past and religion and a strong race pride.” Morgenthau was the first major international figure to alert the world to the Armenian genocide. In 1919 he would also head a commission to Poland to investigate the pogroms against Jews. In that same year, on the opposite bank of the Black Sea, in newly independent Ukraine, anti-Jewish pogroms erupted in a manner parallel to what had happened in Anatolia. The list of pogrom perpetrators was expansive and diverse, encompassing foreign armed fighters, Ukrainian nationalist paramilitary organizations, ordinary Ukrainian peasants, military units loyal to the deposed Russian tsar, and Red Army soldiers. But popular memory put the blame for the bloodshed on the figure of Symon Petliura, the leader of the so-called “Directory” government that tried in vain to rule over Ukraine and establish a left-leaning national republic. Despite offering broad autonomy to the Jewish population—the Directory even printed currency in Yiddish and promised Yiddish-speaking telephone operators—the government was unable or unwilling to stem the violence. In total, over one thousand separate incidents of anti-Jewish violence were recorded; a Soviet investigation put the death toll at over 100,194. Other observers estimated that up to 200,000 Jews were murdered. In an eerie echo of Tehlirian’s assassination of Talaat Pasha, the Yiddish poet and watchmaker Sholem Schwartzbard took his revenge on Petliura, who had fled Ukraine and was living in Parisian exile. Throughout the spring of 1926, Schwartzbard would wander through the streets of Paris’ Latin Quarter with a pistol in his pocket and a photo of Petliura he had clipped out of the Grand Larousse encyclopédique. The blond 31-year-old poet, who courtroom reporters would later comment looked more like a clerk than a murderer, short and “undistinguished in appearance,” drew no attention to himself as he sought out Petliura from among the crowd, comparing the features of likely candidates to the photo in his hands. Schwartzbard found his target on several occasions, but each time Petliura was surrounded by his wife and children. Finally, on May 25, Schwartzbard encountered Petliura alone on the corner of Rue Racine and Boulevard St. Michel. Still unsure if he matched the photo, Schwartzbard asked the man, “Are you Petliura?” He didn’t answer. The poet took a chance and shot the former head of state five times. When police arrived at the scene, Schwartzbard was waiting for them: “I have killed a great assassin,” he declared. The crowd began running toward Schwartzbard, beating him, but the gendarme took Schwartzbard by cab to the station. Upon learning that the man he had shot was, in fact, Petliura, Schwartzbard was overjoyed. Sholem Schwartzbard had been a struggling Yiddish writer and anarchist activist. Born in 1886 in Bessarabia, Schwartzbard was raised in the Podolian town of Balta, a town with a history of pogroms. Three of his siblings and his mother died when Sholem was a child; Sholem was apprenticed to a watchmaker soon after his bar mitzvah. As a youth, he became involved in anarchist circles, agitating for the overthrow of the tsar. Once, when he was distributing literature inside a beit midrash, the pious Jews trying to pray got fed up with him and denounced him to the authorities. He was arrested but managed to flee in 1906 across the Austro-Hungarian border, where he continued his anarchist activities. He was arrested again in Vienna on the charge of robbing a small wine bar. He was found in the bar at opening time, having apparently locked himself inside at closing the night before. The till was short, and Schwartbard was carrying a tool kit and cash. Nevertheless, he claimed it was a case of misidentification. After serving four months for the crime, he moved to Budapest where he was again arrested, this time for distributing radical literature. He relocated to Paris in 1910, where, during World War I, he served first in the Foreign Legion and then in a regular French infantry brigade. He was injured in the war and awarded the Croix de Guerre. But the revolutionary cause remained dear to his heart. Upon hearing news of the overthrow of the tsar in Russia, Schwartzbard returned to Ukraine in the summer of 1917, just as the Russian Empire was breaking up in a bloody civil war. He floated through several revolutionary fighting brigades, eventually finding his way to Odessa, which was from November 1918 to April 1919 under French occupation. Soon after the French abandoned the city, Schwartzbard joined the Bolsheviks and traveled with a brigade to the pogrom-devastated regions around Cherkasy. Disillusioned and traumatized, he returned to Paris, where, under the penname of Bal-Khaloymes (the Dreamer), he published vignettes about the pogroms and a series of poems about the war. He seemed to give up his anarchism and devoted himself to fixing clocks in a small shop—until he found the photo of Petliura in the encyclopedia and became obsessed with the idea of killing him. Schwartzbard’s obsession, though, was somewhat misplaced. Although Petliura had been nominally in charge during the period of the most rampant anti-Jewish pogroms, his responsibility for them was, at best, indirect. Various warlords controlled most of Ukraine for much of 1919. Petliura’s government could hardly retain control of a single city let alone the entire Ukraine. At times he and his top officials lived in a railway car so they could relocate at a moment’s notice to whichever region his troops controlled at the moment. His proclamations condemning pogroms were as toothless as the secret orders his critics believed—but could never prove—he issued permitting them. Schwartzbard’s act of vengeance threw him into headlines around the world and brought global attention to the pogroms and the fate of the Jewish people in Ukraine. Emma Goldman published appeals on behalf of Schwartzbard and urged American Jews to contribute to his legal defense. Hannah Arendt was more sympathetic to the lone assassin. Both Tehlirian and Schwartzbard, she argued, sought justice, not revenge. Rather than run from the police, she continued, they waited to be caught in order to force a trial and establish a public record of the genocide. Both courts obliged, putting Talaat and Petliura on trial as much as Tehlirian and Schwartzbard. Juries acquitted both the Armenian student and the Jewish poet, and the public trials of the two brought the crimes they were avenging to global attention. Jeffrey Veidlinger is Joseph Brodsky Collegiate Professor of History and Judaic Studies at the University of Michigan. He is the author, most recently, of In the Shadow of the Shtetl: Small-Town Jewish Life in Soviet Ukraine. "The capacity of the gas chambers and the capacity of the crematoria were quite limited. Someone said that five thousand people were processed in 24 hours, but I didn't verify this. I didn't know." "For the sake of order we waited until Train 1 was entirely processed and finished." "The process was the same as Auschwitz 1. The only difference was that there were no trucks. 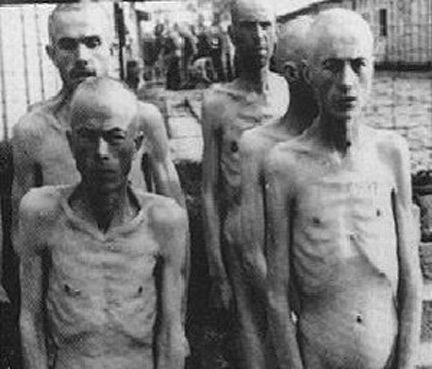 They all walked -- some in one direction some in another direction ... to where the crematoria and gas chambers were." "Everything was going very fast. Yelling, crying, pushing; even dogs were barking. I had never experienced anything that fast or that crazy in my entire life." "All I remember is her arms [10-year-old child's mother] stretched out in despair as she was pulled away. I never even got to say goodbye." Eva Kor, now of Indiana, is among the 60 or so Auschwitz survivors and their families coming from the United States, Canada, Israel and elsewhere who have travelled to Germany to take part in the trial of former prison guard Oskar Groening, as co-plaintiffs. Scheduled to testify next week, Montrealer Elaine Kalman Naves lost her six-year-old half sister. She and others were tracked down to become survivor-witnesses in this and other forthcoming trials by the painstaking work of Thomas Walther. He and his clients were satisfied in part with the testimony of the former prison guard. Yet they suspect he is still withholding many details, fulsome as his testimony has been to date. "There is an ocean of truth, but with many islands of lies", stated Mr. Walther, a retired German judge who has worked since 2006 for Germany's central office tasked with tracking Nazi war crimes. Hedy Bohm, who now lives in Toronto was immediately separated from her parents on arrival at Auschwitz when she was 16; she survived, they were gassed. The former SS guard is being tried on 300,000 counts of accessory to murder. 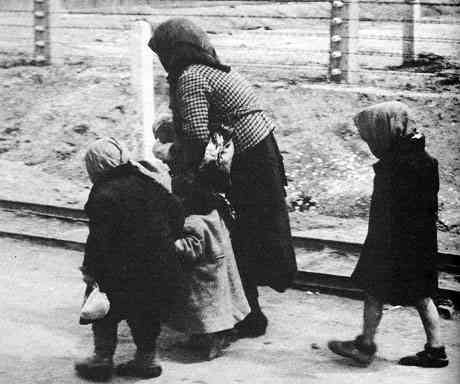 Between May and July of 1944 Hungarian Jews were transported by cattle cars on tracks leading to the Auschwitz-Birkenau complex in Poland, most of them immediately put to death; gassed by Zyklon B, their corpses shovelled into the giant incinerators whose chimneys spewed black ash all over the adjoining countryside. It was Mr. Groening's job as well as guarding, to collect any cash the consigned-to-death Jews had in their possession, and to send it on to Berlin. Which he felt justified in doing, since, as he has stated, the Jews awaiting death had no further need of their money, and it rightfully belonged to the state. This more than eloquently expressing his views respecting his part in the destruction of European Jewry; their destiny enfolded within the Final Solution, ridding Europe of their pestilential presence. Germany fought its war of immense dimensions on two fronts; the Axis against the Allies, and Germany against the Jews. It almost succeeded on both fronts. Mr. Groening spoke of German efficiency in describing the scenes prevailing with the arrival of the trains bursting with Jewish men, women and children, hungry, dispirited, tired, thirsty, not knowing what awaited them at Auschwitz where the gated sign read "Arbeit Macht Frei". "It was very orderly and not as strenuous" on the ramp at Birkenau, he testified, of the Jews walking to the gas chambers and crematoria. If found guilty, which he does not believe he will be, he will face between three and fifteen years as a prisoner. After having lived 70 years of his life, free to do with it whatever he planned to, the atrocities of the war years benignly behind him, for he was guilty of nothing but being a proud German, a sterling citizen of the Third Reich, a patriot then; an elderly German with an unfortunate past now. Forced to undergo a rather undignified and undeserved denouement. "We know where the smugglers keep their boats, where they gather. The plans for military intervention are there." "We think it's the moment in which Europe decides, forcefully, to have an international police operation, which will undo this band of criminals." "They talk about capturing and destroying migrant boats, but presumably they will have people on board, so they're not going to just shoot them out of the water." "Others say the only way to stop them is to destroy all the boats in Libya, which is obviously nonsensical." "This problem is totally unsolvable with military means." "Fighting people trafficking means fighting the slave traders of the 21st century. It is not only a question of security and terrorism -- it is about human dignity." "Let's also go after effectively the modern slave traders. Let's also try and stabilize these countries -- not just Libya, but also Nigeria, Somalia, Eritrea, Ethiopia. It's these unstable countries that people are coming from that's part of the problem." "They wanted to put 1,200 people on the boat, they were shouting 'Hurry up' and beating us to make us get on board. But in the end it was completely full and they stopped at 800 people." It wasn't all that long ago when the newspapers were full day after day of stories about pirates off the coast of Somalia. The pirates, claiming that their fishing livelihood had been compromised by foreign poachers off Somalia's coastline waters, turned to piracy to compensate for their loss of fishing rights and income. Their piracy enterprise was funded by investors from the Middle East to whom was returned a percentage of their considerable take. It was the huge sums of ransom money demanded from various countries' shipping enterprises where the Somali pirates retained ships, cargo and crew until the ransom came through that handsomely augmented their way of life, and enriched the coffers of those funding their boats, their arms. Until the international community came together because insurance costs had soared and losses were souring international shipping. So, vigilance, time and investment in combating piracy proved successful in putting the pirates out of business. In the instance of the tens of thousands of refugees, some seeking economic opportunities but more seeking haven from endemic violence in the Middle East and Africa, it is human lives that are at risk more than commercial enterprise, even though the cost to Europe of policing its shores, of having to undertake humanitarian missions to find and rescue floundering vessels at sea, in the cost of housing and feeding the refugees though mounting, hasn't yet the emergency status of the pirates' pillage. But Hungary now, along with Italy and Greece is becoming yet another gateway to the more prosperous countries of Europe, Germany and France, where many of the migrants have a wish to infiltrate as refugees. Even while most countries of Europe are beginning to feel the strain, both of accommodating such refugees and coping with a public backlash, of indigenous citizens resenting the intrusion of foreigners who do not respect their laws and customs, and who begin to aggressively insist that Islamic Sharia law be paramount over the laws of the land. Ethiopian and Bangladeshi-led smugglers specialize in not only shipping refugees through the Mediterranean, but overland on long journeys as well, trucking migrants through countries like Serbia where they operate "safe houses" in abandoned industrial buildings on the outskirts of towns. Where, if the migrants arrive with insufficient cash, they are kept as prisoners and the places where they are kept become torture chambers. Where men lacking sufficient cash are beaten, and women are gang-raped. Unscrupulous, conscienceless people preying on the desperation of others. The world keeps re-inventing itself and its re-inventions bear close resemblance to what has been done before as miserable history keeps repeating. It is more familiarly known as 'man's inhumanity to man'.